Home exchanging is getting more and more popular among travellers around the world. It is a very appealing and practical option if you want to save money, enjoy plenty of convenience and get free extra tips and advice on how to get around the city you’re visiting. 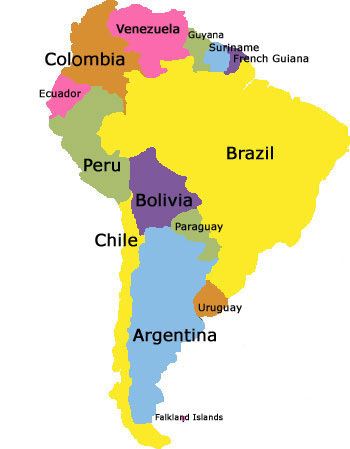 When it comes to home swap in South America, you have a lot of fantastic choices to select from - whether you want to explore the fantastic Machu Picchu in Peru, immerse yourself in the rich culture of Quito, Ecuador, or enjoy exuberant week-long carnival celebrations in Salvador, Brazil. This is the most visited tourist spot in Peru and there’s a strong reason for that. Machu Picchu is home to the marvelous mortar-free limestone architecture that was constructed in 1400s on a plateau in the Amazonian jungle. Be sure to bring your camera to capture stunning views. If you like a good hike and extra exercise, you can trek your way from Cusco through the Andean gullies to the Machu Picchu. This is the precious jewel of Brazil, where the 2016 Olympics will be held. With the Christ the Redeemer, which is the world’s largest Art Deco statue, overlooking the city, you will be amazed of the panoramic view of the place. At the background, you can hear the bacchanalian-like feast of beautiful, interesting music, dances, costumed revelry, and parties. Buenos Aires is known as the origin of tango. And that’s no accident as the city is just like the dance itself with its captivating and pulsating city life and activities. The place is dotted with topnotch restaurants, cafes, parks and bars. Immerse yourself in the metropolitan joys and rich culture of Santiago. Check out the Forest Park art collections of pre-Columbian and contemporary arts. You can also visit their funky cafes, dance clubs, and indulge yourself with the healthy and palatable Chilean meals. This is the most beautiful and safest place in the country. Enjoy the gorgeous fishing village of Cartagena with its fine beaches, and great-looking colonial architecture. Get a taste of their world-class pastries and relax in their excellent cafes. The place is a designated UNESCO World Heritage Site. Get a first-hand experience of the rich culture of Ecuador right at its capital and the heart of the country. The city was founded on the ruins of a once magnificent Incan city. Some of the best must-see tourist spots of Quito are the monasteries of Santo Domingo and San Francisco, the La Compania church, and the Andean valley. Want to see the magnificence of the Andes Mountains? Then the La Paz city of Bolivia is a perfect place to go for your next journey. It is the city that touches the cloud. Sitting around 3300 to 4100 meters above sea level, this is easily the world’s highest capital city. Get a nice tan, enjoy the beautiful beaches and seaside homes in Punta del Este in Uruguay. This is home of some of South America’s most gorgeous and most visited resorts. Some of the famous celebrities in the world visited this place. This is the bustling and progressive capital of Venezuela. Visit its rich and world-class museums, or for the young, mingle with the city’s famous die-hard partiers. And when you get there, don’t miss to try the city’s sumptuous eclectic cuisine.